ActivatorPeople especially talented in the Activator theme can make things happen by turning thoughts into action. Once a decision is made, they want to act quickly. Taylor joined Resource Consulting Group (RCG) in February 2016. In her current role as communications specialist, she works with the business development director to strategize, plan and execute all aspects of branding, marketing, events and community engagement for the firm. Before coming to RCG, she served as the national event planner for Longines Watch Co., a division of Swatch Group. Prior to that, Taylor spent two years as a sales and service coordinator in charge of events & sponsorships for PNC Wealth Management where she built and maintained client relationships and community partnerships. Taylor earned a Bachelor of Science in advertising and public relations from the Schieffer School of Journalism at Texas Christian University, in Fort Worth, Texas. Originally a native of Bend, Oregon, Taylor moved to Orlando in 2010 and currently volunteers as the Recruitment Advisor for the Alpha Chi Omega chapter at Stetson University. 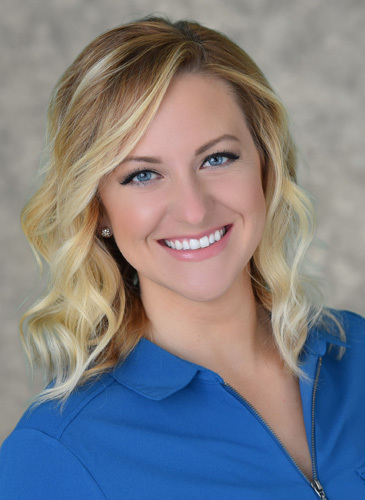 Taylor serves on Junior Achievement of Central Florida’s leadership council and is active at First Presbyterian Church of Orlando. She is a four-time marathoner and die-hard TCU Horned Frog fan (go Frogs!). Her favorite place to be is with her husband, Cameron, her infant son, Harrison, and her two Labrador retrievers, Layla and Blue. My father was a 6’7″ collegiate basketball player who underwent numerous knee surgeries during his career. His strength and will to press on through the pain made him a hero to me. Growing up, my brother and I used to sift through the myriad of trophies and newspaper clippings he’d amassed amazed that we got to call that man dad. Athleticism runs deep in my family. While my dad set his sights on basketball, his older brothers were out pursuing baseball careers. 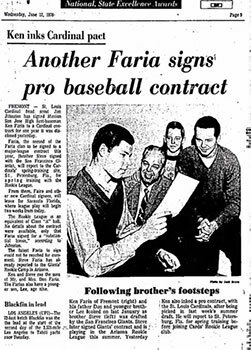 A local paper back in the 70s showed headlines like Big League Father’s Day for Mr. Faria and Another Faria Signs Pro Baseball Contract. Each article included a picture of my dad and grandpa looking on as my dad’s older brothers displayed their professional baseball contracts with proud smiles across all their faces. My dad learned a great deal watching his brothers’ careers progress and once again he found himself looking on, this time as their dreams were dashed due to injury or circumstance. Their experience taught my dad a valuable life lesson. Determined not to lose sight of sports entirely, he decided if he couldn’t go pro he’d find another outlet for his passion. After graduation, journalism degree in hand, and knee surgeries in the past, my dad set aside his basketball career and became a sportscaster. Growing up in the newsroom was a great experience for me. I loved working with my dad to create his sports packages and while my passion for communications developed out of our time together, he taught me so much more than just journalism and sports. I valued his depth of sports knowledge and the dedication he poured into his craft. I learned of the resilience it required to take the pain of injury – one he still experiences to this day – and move forward. He taught me that everyone is important regardless of their role on the team or their pay scale. He instilled in me an appreciation for excellence and an understanding that mistakes and setbacks, while likely, don’t define a life. The venue and products may be different but those values ring just as true at RCG. Every member of our staff is respected and the work they produce stems from a passion and desire to deliver uncanny service to our clients. We’re steadfast in our approach to investing and we believe, just as my father did, that while life might have its setbacks and downturns, preparation and forethought are paramount in ensuring that we still live our ideal life.